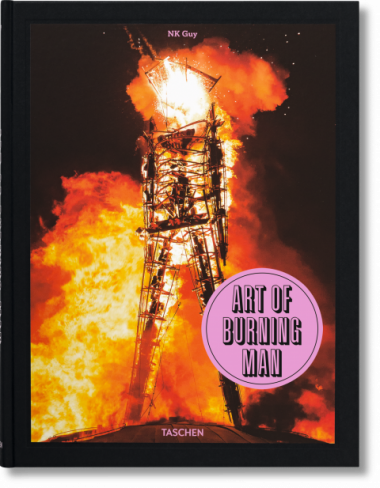 Burning Man: Temporary community, spiritual adventure, desert rave, social experiment, and home to some of the most remarkable site-specific outdoor art ever made. 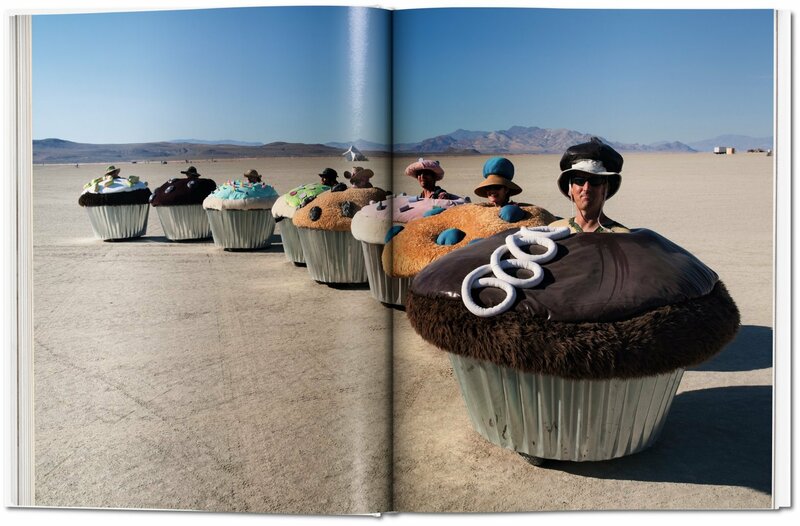 For the past 16 years, writer and photographer NK Guy has traveled deep into the Nevada desert to photograph the installations, happenings, and uninhibited self-expression that define Black Rock City. 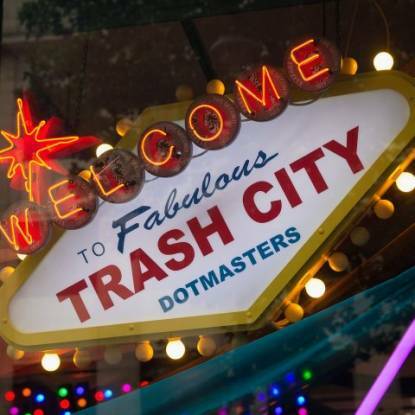 One hundred miles from the gambling town of Reno, in the wilderness of northern Nevada, lies a vast, hostile plain known as the Black Rock Desert. The region has been an empty and windswept dry lake bed for most of the past 10,000 years. Except, that is, for one brief week at the end of each summer, when a temporary city rises out of the barren clay. This is the surreal and amazing site of Burning Man. 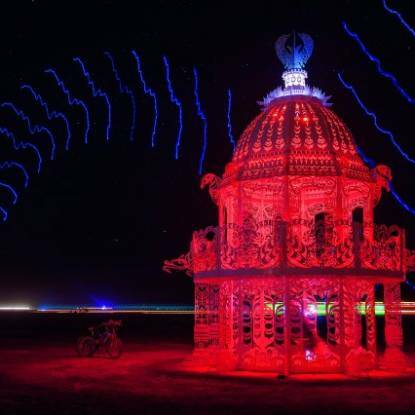 Baked by the sun, and blinded by dust, the gathering acquires different meanings for different people: temporary community, spiritual adventure, performance stage, desert rave, social experiment. It’s also the incubator of some of the most remarkable site-specific outdoor art ever made: a mechanized fire-breathing octopus, a towering wooden temple 15 meters tall, and the eponymous Man himself—a skeletal sculpture set ablaze at the event’s conclusion. 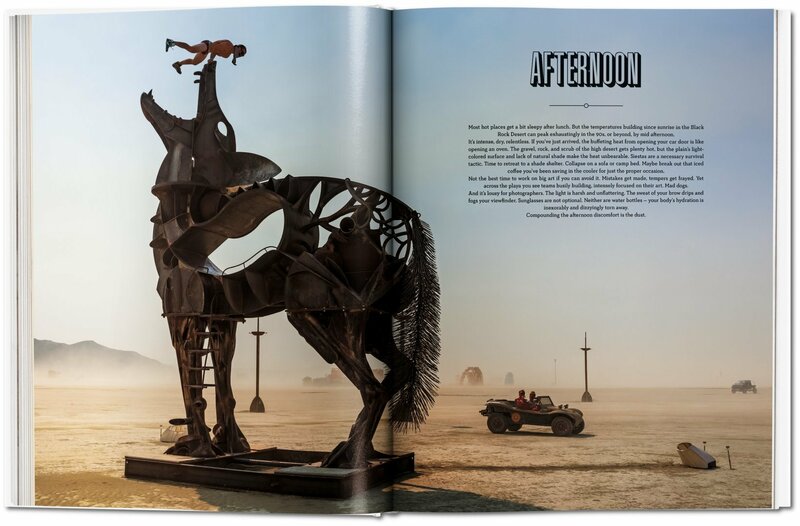 Here, writer and photographer NK Guy presents 16 years of Burning Man art. 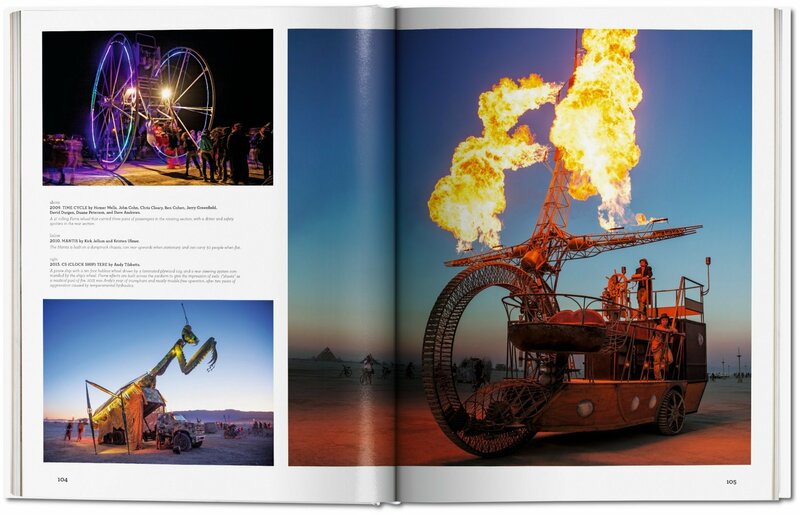 His dazzling images record these participatory, collective, intrinsically ephemeral installations and happenings in the desert, which exist for no clearer purpose than because someone wanted to express something. The result is testimony to a realm far beyond the ego, commerce, and power play of mainstream cultural output: it is one of the most pure, uninhibited, expressive centers of our time. 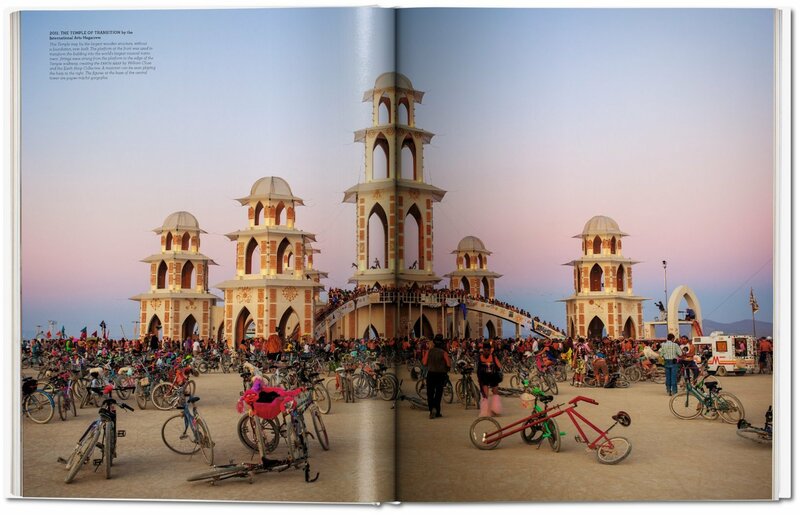 With a foreword by temple designer and artist David Best and a futureword by Founding Board Member Marian Goodell. 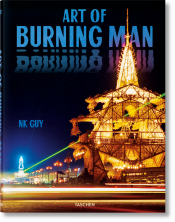 NK Guy is a Canadian writer and photographer living in Britain. 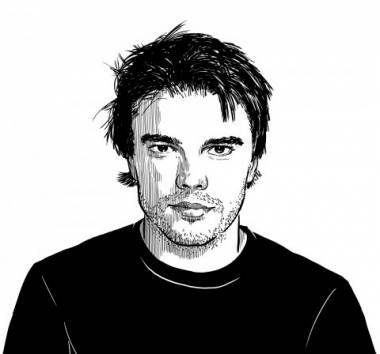 He is the author of The Lens: A Practical Guide for the Creative Photographer and The Photographer’s Dictionary. 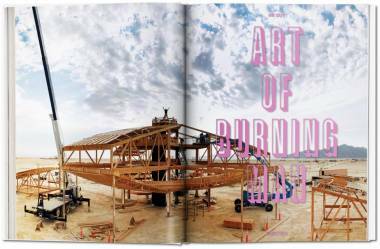 He documented the art of Burning Man annually between 1998 and 2014.